If you are suffering from pain in your lower back, or repeated periods of sciatica, you could be suffering from a herniated disc. 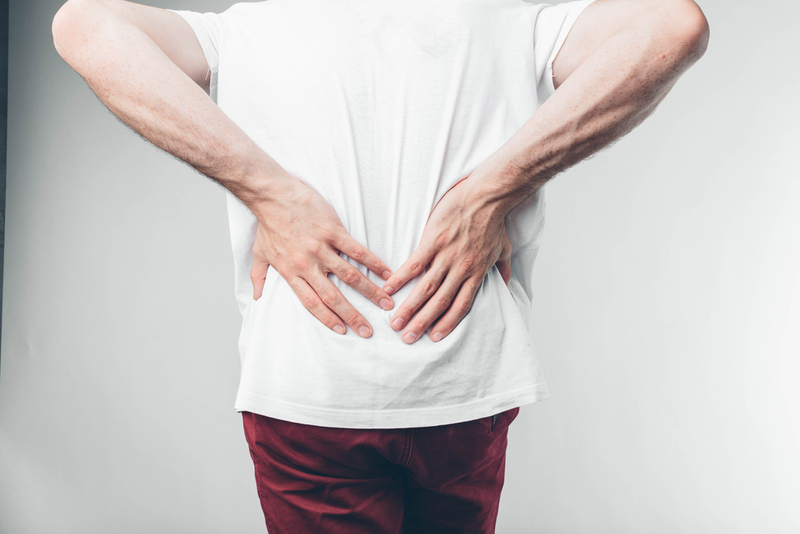 Also known as a slipped disc, this is a very common condition that occurs most often in people who are aged between 30 and 50, and is more prevalent in men than in women. Herniated discs regularly occur in the lower part of the back, causing the patient to suffer from a range of symptoms, including both back and neck pain, and numbness, tingling and weakness in other parts of the body, in particular, the hips, groin, and legs. A herniated disc often causes a condition called sciatica. The sciatic nerve is the longest nerve in the body, and it carries signals to and from the brain. When the nerve becomes compressed as the result of a herniated disc, the patient can experience mild to severe pain that is usually felt in the leg, hip or buttocks. However, not all herniated discs cause symptoms, and many people may never realize that they have one. In order to fully understand what a herniated disc is, it is essential to understand the anatomy of one. Spinal discs have two different layers. The inside layer is a soft, gel-like substance known as the nucleus pulposus. The outer layer is called the annulus fibrosus and is tough, formed from a ring of ligament fibers. The most common reason for a spinal disc to herniate is degeneration. As we go through life, the discs naturally suffer minor injuries. Over time, weak spots begin to form in the outer layer of the discs, and further pressure placed on the discs as a result of activity means that eventually, one may rupture, causing the inner gel to push through the outer annulus. Sometimes the nucleus pulposus does not completely push through the annulus, and instead, it will just create a bulge that is contained within it. This is referred to as a bulging disc, and often there are no symptoms until the bulge comes into contact with one of the root nerves that surrounds it. If you are diagnosed with a herniated disc, your first priority will be to make sure that you are comfortable and not in any pain. Your doctor may recommend a combination of pain and anti-inflammatory medications to help control this. There are several treatment methods that may be used successfully for a herniated disc. Hot and cold therapies are extremely useful for reducing swelling and inflammation, which will also go some way to alleviating any pain that you are experiencing. If these are unsuccessful, you may be given a course of steroid injections as an alternative. You will also likely be given some specific exercises to follow, or referred to a physiotherapist. If you require surgery, you will most likely be given a discectomy. This is the most common surgery for a herniated disc in the lumbar region. During a discectomy, the portion of the disc that is causing pressure on your nerve root is removed. There are other alternative surgical treatments available, and SPINE SURGEON LUIS M. TUMIALÁN, MD will be able to recommend the best one for your personal case during your consultation appointment.